The Critical Defense Lite 38 Special load is an effective, reduced recoil option for ANY shooter looking to minimize the felt recoil of their lightweight, compact personal protection revolver. 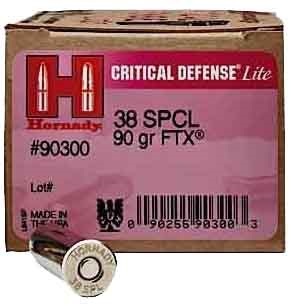 Designed with the same proven components as our Critical Defense line of ammunition, this offering features a 90 grain FTX bullet with a unique PINK Flex Tip! The pink bullet tips and pink ribbon packaging help signify our desire to share in the fight against breast cancer. 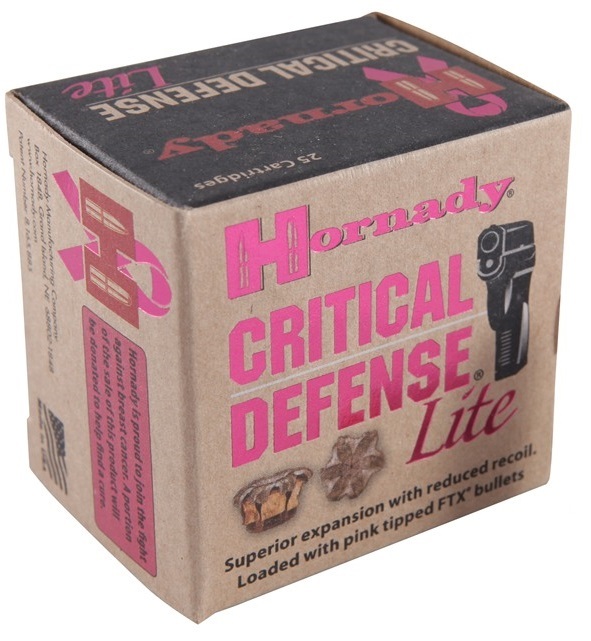 A portion of the proceeds from the sale of Critical Defense Lite will go to help fund breast cancer research. Highly effective reduced recoil load for ALL shooters. Excellent choice for compact, lightweight revolvers. Same point of aim / point of impact as standard Critical Defense loads. PINK Flex Tip - portion of the proceeds go to help fund breast cancer research.